Resolution Health is so committed to enhancing the health and overall quality of life of South African citizens they work tirelessly to constantly provide innovative healthcare options. In order to insure members receive only the best quality services Resolution Health has partnered up with Agility Global Health Solutions an administration and managed care provider. Resolution Health is going all out to ensure that all South Africans have access to quality healthcare at a reasonable price. In order to keep their scheme financially sustainable without compromising quality of benefits or service Resolution Health diligently manage their growth and potential risks by forming partnerships with reliable service providers. 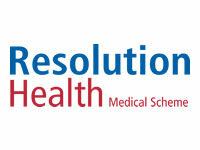 Resolution Health aims at being South Africa’s primary healthcare service provider of choice across all sectors. Resolution Health believes in incorporating their values into every aspect of their organisation. It is through accountability, transparency, utilisation and sustainability that they are able to cater to the diverse needs of their members. Resolution Health actively encourages their members to embrace life. In an attempt to give something back to the community Resolution Health has undertaken a campaign to provide support and visits to the needy and underprivileged, creating awareness and educating the community about important health issues. In an attempt to make choosing a healthcare service option easier Resolution Health has simplified their benefit structures to make them simpler and easy to understand, making it that much easier for member to select a service option that will best suit them.